There is one thing that the older generations that complain about millennials killing everything from American cheese to divorce never, ever complain about. That should say everything right there, but it sadly does not. Election Day is Tuesday, November 6 and though I probably should have said something sooner, please take into account I didn't start this blog until October 17 and it wasn't planned to be a political blog. But it's still important to vote. I don't even care for who. That's on you. 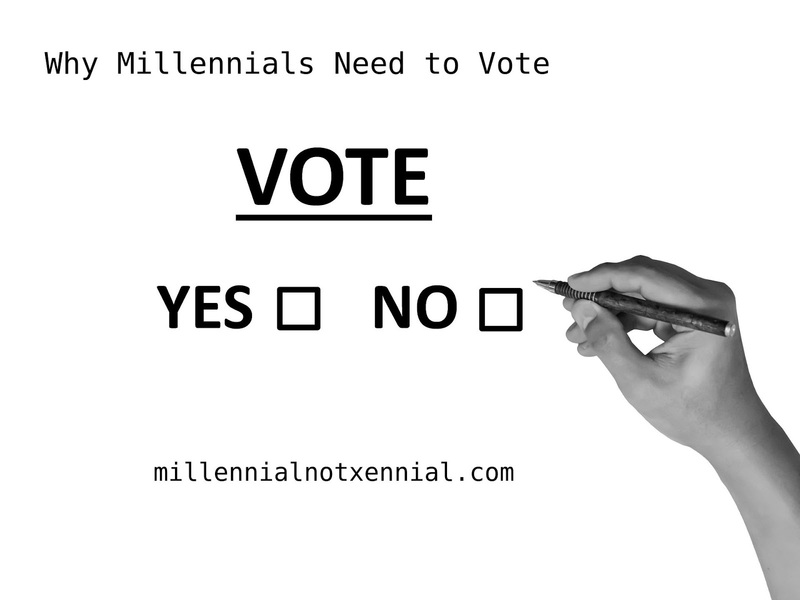 Eligible Millennial voters in 2016 were equal to the amount of eligible Baby Boomers. However, less of us voted. Our parents were the ones who decided we needed participation trophies and then said it made us entitled. Our parents were the ones told us we had to go to college but then judged us for going into debt over it. Our parents are yuppies and judge us for not being able to afford the rent in the urban areas they overpopulated. But we're all adults now. Every last millennial is an adult. Why are we going to let our parents decide something for us that they're just going to blame us for? Let's give them something to blame us for! Because when you do nothing, you're proving one thing Boomers say to be true - that we just need to grow up. 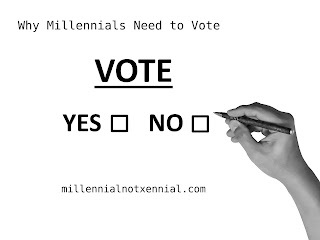 Adults vote. Basic adulting 101. Don't let your parents decide how the country is going to be run and then blame you for it. You have a voice, too. On Tuesday, November 7 - make it heard.